Some might call her a drill sergeant, a motivator or even a friend. Coach Cristol comes to you as a native of Cincinnati, Ohio by way of “The Prairie State” of Illinois sharing a plethora of sports and fitness experience. She has been an athlete since the age of 5 playing softball, basketball, track up to and including high school and even playing in the college bands. She is no stranger to the world of sports and injury and so knows mentally and physically feeling defeated but the rewards of overcoming obstacles. Initially the thought of being an indoor cyclist or even an instructor was far from her reality. However, due to an ACL and meniscus injury she she was led into this direction. 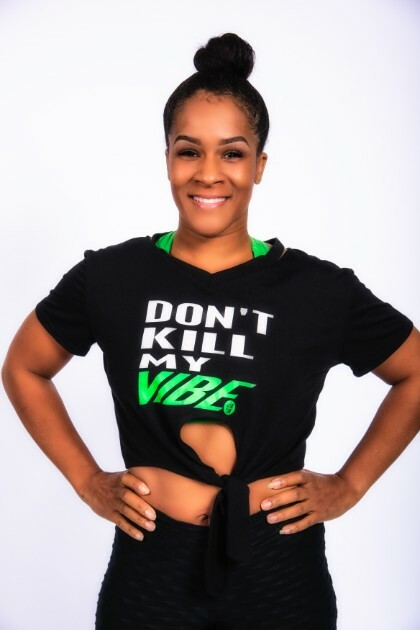 With the recommendation of continuing to strengthen her muscles and exercise through indoor cycling she decided to impact other individuals lives and help them in their fitness journeys. She has been a fitness instructor for approximately 6 years but an athlete for all her life. She takes her classes serious and expects nothing but the best her participants as she takes them through transforming their bodies through weight loss, strengthening and toning the body, but hey when you put in maximum effort you can also have fun too! Live life but prolong your live by taking care and molding your body!